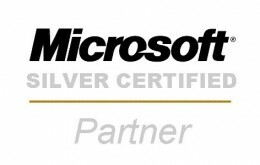 Microsoft develops, licenses, and supports a range of software products, services and devices. Products include operating systems; cross-device productivity applications; server applications; business solution applications; desktop and server management tools; software development tools; video games, and training and certification of computer system integrators and developers. Microsoft also designs, manufactures, and sells end-user that integrate with its cloud-based offerings. Conducting research and developing advanced technologies for future software, hardware, and services, Microsoft will continue to grow and customers’ needs by delivering a family of devices and services for businesses and individuals and that empower people around the globe. Call 1300 IT ASSIST (1300 482 774) today if you would like to discuss how your organisation can benefit from Microsoft technology. Alternatively, email itassist@moncrieff.com.au.